After 4 years of monsoon, we had the unusual experience of several weeks of sunny warm weather. And the forecast it was holding for the weekend. With work only stopping Friday late, we decided to leave for Conwy early Saturday morning. 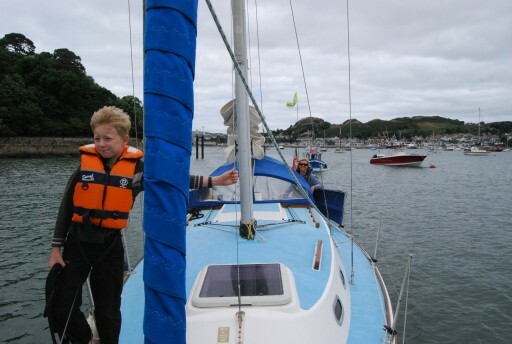 So we set off at 10:15 with the plan to sail to follow the LALA race to Beaumaris and come back early next day for the Conwy river festival. 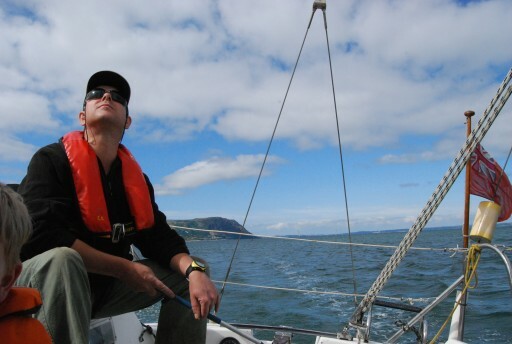 However, 1 hour into the trip, the captain decided not to feel well we returned to Conwy. The new captain moored herself at 12:10. After a bit of a chill-out we had lunch in Conwy and visited the medieval demonstrations on the quays. 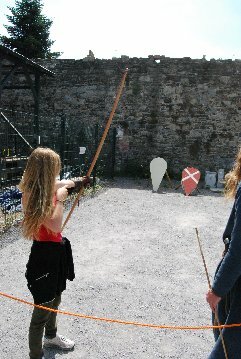 Timo and Meryl joined in on a bit of bow and arrow shooting. 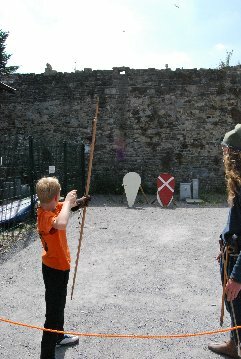 Timo did really well with his 5 our of 6 arrows on target, outclassing the bearded guy in his old fashioned clothes. 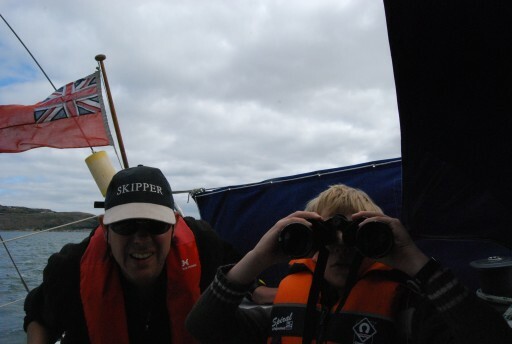 Later the skipper and Meryl got a lift to Tesco's to get essential shopping for a BBQ that evening. The next morning we were up early, forced by another early high tide. The weather forecast at 07:50 stated a F3,4 from E to NE with occasional F5, slight, fair and good. 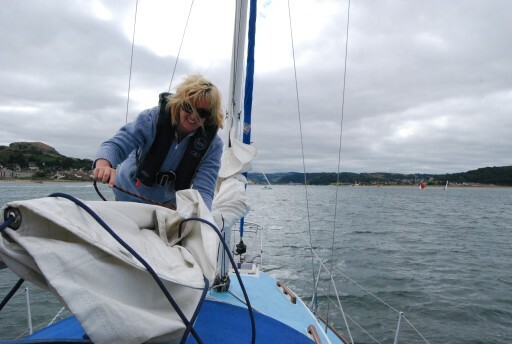 At 09:35 the engine was started and at 09:40 we cast off to watch the race in Conwy Bay. At 10:05 the sails were up and motor switched off. There was actually an F5 in the Bay and we put 1 reef in the main and rolled the genoa in. 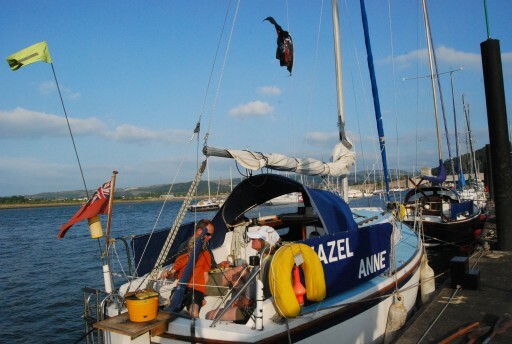 Hazel Anne sailed beautifully. Meryl was still asleep as much as that is possible while sailing. The sailing was spectacular doing 6kts over the sandbanks (this is all under the knowledge that we got about 3.5 knots out of our Westerly 22 in those conditions). This time Geke wasn't feeling well and we turned back around 11:00. 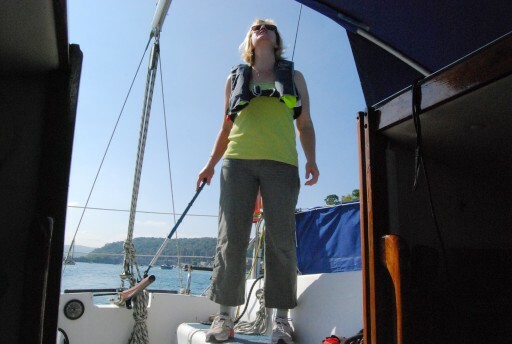 At 11:25 we were back on the pontoon after a good sail. The rest of the day was spent relaxing on the pontoon. We packed our stuff around 16:00 and drove off following the A55. Near Abergele, the sea looked very inviting in the warm afternoon. A vote changed the plan and we parked near the coast and had a brief swim in our underwear. It was around 19:00 before we got back home.